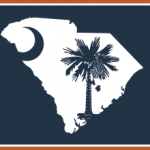 The South Carolina Lean Alliance would like to invite you to an upcoming Lunch and Learn Membership Event in Charleston! This is a great opportunity to learn what the SCLA is about while also getting an overview of a Lean topic. This month’s topic is Informed Reality using Google Glass. What if you could help your company achieve double-digit productivity and quality improvements, quickly and easily, with very little investment and hardly any risk? Make sure to join our session to learn how your operators, quality inspectors, and maintenance technicians could get jobs done faster, more accurately, and safer, thanks to “assisted reality” solutions on smart glasses. In this hands-on session, all participants will get first-hand experience with digital work instructions and inspection procedures using Google Glass. In small groups, we will brainstorm possible uses and benefits, answer any questions, and learn from other companies’ experiences and successes. To sign up for the lunch, click here, select the appropriate event from the pull down, and fill in your information. We look forward to seeing you there! Cost: FREE, Registration is required to attend. Lunch is included. Class size is limited to 20 people.